The last day of Senior Week is here! Today I will announce the winner's of the giveaways that I have featured all week as well as draw for the Grand Prize. Today is also the last day to take advantage of the $100 off special for your 2 hour Senior Portrait package or off of the Senior Destination Session at the Talladega National Forest. All 2019 Seniors get $100 off of their senior session during this week only. Just click here, select the date session type (2 hour session or destination session) that you would like to book, pay the 25% non-refundable retainer fee, use the code SENIORWEEK19 to get $100 off your session and you're all set! I will call you that week to schedule a consultation, that fits our schedules, to get to know you better and to help style and plan a creative, one-of-a-kind senior session just for you and your amazing personality and style. So what's the grand prize that I am giving away today? Today's giveaway is the "Ultimate Lindsay T Photography Portrait Session and Date Night Package". Long name, but it't got some awesome things with it. The winner will receive a $300 gift certificate to Lindsay T Photography for a 2 hour portrait session. Ok, that's cool right? What if I said you will also have your hair and make up done by some of the best in Mobile? Your will look amazing (even more so that you already do) after having your hair done by Hair by Haley Graham and your makeup Alexis Ruby Makeup Artistry! I love the work of both of these ladies. I like to follow them both on Facebook and Instagram so that I can keep up with their work and amazing before and afters. After you have your hair and makeup we will have your session that afternoon. With 2 hours you will have time for multiple outfit changes, and even a location change! We will meet a few weeks before your session to design the perfect session for you! After your session enjoy dinner and a movie on me. Included in this giveaway is a date night, or friends night out if you prefer. Enjoy a delicious dinner at Flipped Out Kitchen in West Mobile and 2 movie passes to the movie of your choice at the AMC Mobile 16. The grand prize winner will be announced tonight at 8pm. 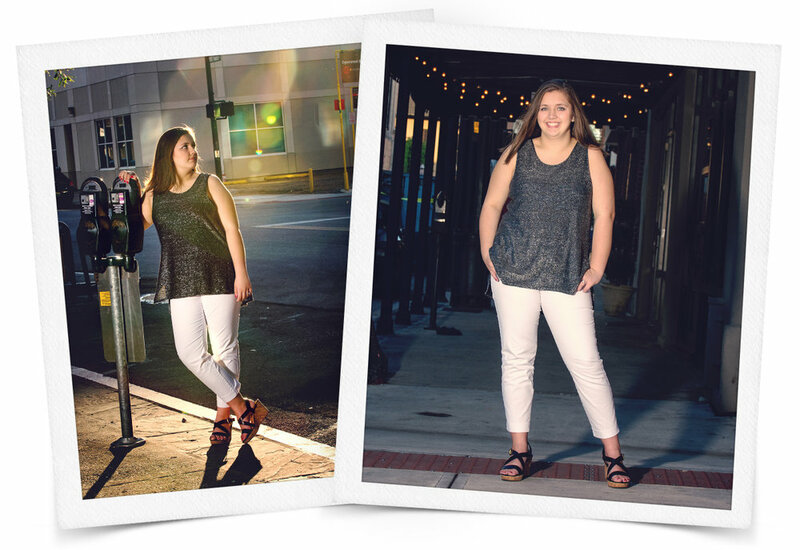 "take time to enjoy and enjoy the time you take"
Ashlynne is an upcoming Senior at Faith Academy in Mobile, Alabama. After graduation she plans to attend the University of Mobile and have a career in occupational therapy with special needs. 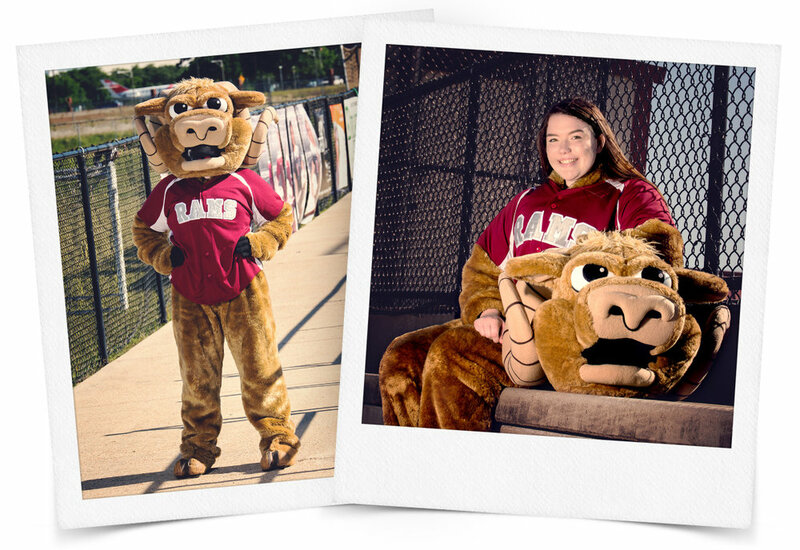 Her extra-curricular activities include choir, robotics and mascot. Ashlynne is very outgoing and loves to help others. 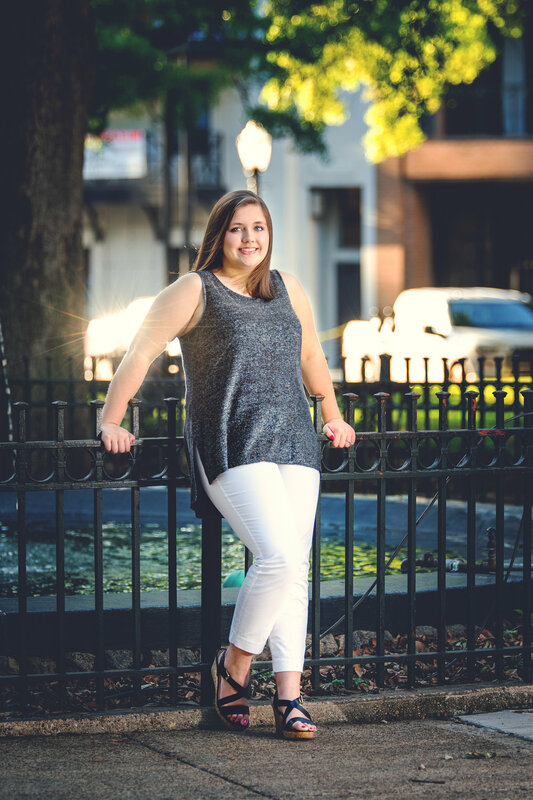 Cierra is an upcoming Senior at Alma Bryant High School in Mobile, Alabama. After graduation she plans to attend college and have a career as a social worker. Her extra-curricular activities include church youth, reading, drawing and babysitting. Cierra loved spending time with her friends and watching scary movies.